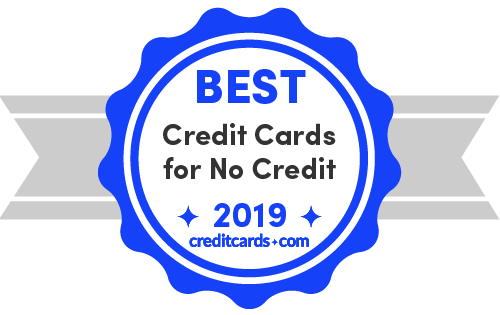 Using one of our best credit cards for those with limited or no credit history is a great first step to building a solid credit score and earning valuable rewards. These cards make it easy to track your spending and can help to quickly raise your score - find the perfect credit card for you and get started. Currently in school? Check out these partner offers just for students. When you are just starting out, it can be tough to land the car you want, the apartment you need and even the job you are hoping for. Why? Because so much of our society centers around having good credit. But in a few short months, you can establish credit and be on your way to financial bliss. How can I get a credit card if I have no credit history? Can you get a credit card at 18? Do you have to have a job to apply for a credit card? What information is needed to apply for a credit card? Make 2019 your year for building credit. For more credit cards tailored to college students or recent graduates with a short or no credit history, see our student credit cards. There are cards out there that serve consumers who are new to credit, such as the Capital One Secured Mastercard. Sometimes, they want you to have a checking account, and they may require a refundable deposit of at least $200. Here is what you need to know about getting a card when you don't have a credit history. Look into a credit-builder loan. Check with your local financial institution about these small loans, which are designed primarily to help you build your credit. A local credit union is an excellent choice. You will likely need to open a checking or savings account with the institution. Consider a secured card. The fastest and easiest way to build credit is with a credit card, and a relatively easy card to land is a secured card. That's because you put down a refundable deposit that is used to secure your credit limit. Just make sure the card issuer is going to send your credit habits to the credit bureaus. Research, then apply for one card. With your score handy, look at cards you are likely to get, checking annual fees and any other charges that might be incurred. See about being an authorized user. If you don't think you will be able to get your own card or you want to take baby steps, see if you can become an authorized user on a responsible consumer's card. Just make sure they pay on time and in full each month, because their good credit habits will go on your file. Not all card issuers report authorized users' information to the credit bureaus, so check. In a few months, you will be able to apply for your own card. There's a lot of misinformation out there about building your credit, including how to properly manage your credit card. In fact, your credit card is one of your important tools for building credit, but it's also critical to know how to manage your credit as a whole. The fact is that we are increasingly checking our credit reports (from 29% in 2014 to 36% in 2018), but the number of people who feel it's important to actually check them is down (from 72% in 2014 to 67 percent in 2018), according to VantageScore's eighth annual credit score survey in conjunction with the Consumer Federation of America. In 2019, plan to be one of the consumers who checks her credit reports regularly. Ideally, check one of your 3 reports every 4 months on AnnualCreditReport.com for free. Correct any errors with the 3 major credit bureaus. Make sure there aren't any accounts you don't recognize. Also, pay off any outstanding debts you have, or at least come up with a payment plan. Pay your bills on time. If you are not doing this already, then start immediately. Keep in mind that even if a creditor, such as a landlord, may not send positive credit patterns, the creditor may send bad credit habits. For that reason, it's important to pay each and every month. Get a credit card that you can use responsibly. This is the fastest way to build credit. But it's a must that you pay on time or your credit score will drop significantly and quickly. Use your credit card. By making a small charge on your card each month, you keep your account active. Pay your card in full. If you pay your card in full each month, you avoid paying interest charges and you build your credit that much faster. That's because your available credit by your balance is factored in. If your available credit is $1,000 and your balance is $100, then your credit utilization ratio is 10% – you want it as close to zero as possible, although 10% is considered good. Don't be tempted to take out more credit. Think strategically – don't apply for loans or credit cards without a plan, because applications can affect your credit. However, there are some times when taking out credit is a good idea. For example, by taking out a credit-builder loan or some other type of installment loan, such as a car loan, you give your credit a little boost. If you've made up your mind to get your first credit card in 2019, you've come to the right place. However, with hundreds of credit cards in the market, it can be overwhelming to decide which card you should get first. We can help with that. For example, you'll need to look at which type of card you want (or can get); whether there are fees; and what rewards are offered. We'll walk you through the different types of cards and what you should pay attention to. Does the card issuer report to the credit bureaus? This is a deal-breaker, because if the issuer doesn't report to the bureaus, you won't be able to improve your credit with the card. Are you clear about the fees? Look at not only the better-known fees in the "Schumer Box," such as late and returned payment fees, but also fees lower in the text, including "billing statement copy fee" and "expedited telephone payment fee." Make sure you won't be nickel and dimed with your new card. Do you understand the types of cards there are? Secured. This card requires a refundable deposit, typically starting at $200. This is a good card for someone with bad or no credit. Unsecured. Most cards are unsecured, which means there is no required deposit. There are some unsecured cards available for consumers just starting out. Student. These cards are usually for the beginner consumer, although they don't necessarily vary significantly from other cards. Rewards. The ultimate goal for many is to work toward a rewards card, which typically requires good or excellent credit, but some beginner cards include rewards. Gas. Gas cards typically require lower credit, and they can have loyalty to specific brands. Some are co-branded, which means they are aligned with a card network, such as Visa or Mastercard, which allows you to use the card anywhere the network is accepted. Of 28 gas cards surveyed recently, 11 were found to be co-branded. Do you qualify? Check that you have a high likelihood of landing the card before applying, because every time you apply for a card, it impacts your credit score by about 5 points. You'll need your credit score for this. Is there an annual fee? While this isn't necessarily a deal-breaker, you'll want to pay attention to make sure it's something you can afford and that it's worth your while. Are there rewards or benefits? Some starter cards offer rewards, although it can be worth your while to minimize the fees for now and plan to get a rewards card in a year or so. What is the APR? While it's usually a bad idea to carry a balance on your credit card, because you'll pay interest charges if you do, you'll want to pay attention to the APR, just in case. "You'll start building a positive credit history within a month of signing up for your first credit card, as long as you pay the bill on time," says Ted Rossman, industry analyst at CreditCards.com. "You should also try to maintain a utilization ratio (credit used divided by credit available) below 30%. After about six months, you should be able to upgrade from a secured card or another type of starter card to a card with even better terms and more lucrative rewards." Unless you live on a plot of land you own free and clear in a tiny house powered by propane, your credit matters. That's because not only credit card issuers and lenders make decisions based on your credit. Employers, landlords, even utility companies are interested in how you handle credit. Insurance. Your insurance company looks at your credit when deciding how much your premiums should be. Credit card. When you are on the hunt for a credit card, your first stop needs to be a card that will likely accept your credit score – anything above will only set you up for rejection. Mortgage or car loan. Perhaps the best-known reason for why credit matters, lenders look at your credit to decide which product, if any, to grant you, as well as product terms. That means the higher your score, the better the terms, usually. Job. While potential employers can't check your credit without your approval, companies are increasingly studying job applicants' credit history before making a final decision. Apartment. Landlords are increasingly looking at potential renters' credit when making a decision on which renter to accept. Utility and cellphone accounts. Utility and cellphone companies check your credit before making a call on whether to require a down payment and in some cases, even whether to accept you as a customer. Turning 18 this year? Yes, you can get a credit card when you are 18, but it is complicated. That's because the Credit CARD Act of 2009 is designed to make sure young consumers don't take out a financial product before they are financially or emotionally able to handle it. Unfortunately, the easiest and fastest way to build credit is with a credit card. While it can be frustrating to have to jump through hoops to be able to start building your credit, there are some work-arounds, such as becoming an authorized user on someone else's account. Do you have credit files? The first thing you should do when you turn 18 is to check your credit files with the 3 major credit bureaus, TransUnion, Experian and Equifax. You want to make sure that a) you even have a file, and b) that the file is accurate. Have the bureaus correct any incomplete or inaccurate information. You shouldn't have a file if you don't have any credit accounts. Do you have income? If you are under 21, you are required by the Credit CARD Act of 2009 to have your own income if you want a credit card of your own. If you are over 21 years old, you don't have to have a job to apply for a credit card, provided that you have reasonable access to income, for example that of a partner or spouse. The Consumer Financial Protection Bureau amended the CARD Act of 2009 in 2013 to allow at-home parents the ability to get a credit card without a job. What's your score? You'll need this to know which cards you qualify for. Only apply for one so your score doesn't take a hit. Make sure the holder of the account pays on time and in full every month. Keep track of your credit reports and scores to make sure they are on track. Work toward getting your own card, because the benefits from being an authorized user are only as long as you are on that account. Not all card issuers report authorized users' credit habits to the 3 major credit bureaus, so check. Here are common questions asked when you apply for a credit card. As you can see, you might be asked about whether you own or rent, your monthly housing payment and source of income. If it's a starter card, you may be asked if you have a bank account, and if so, what type.